Affirmations for Career Growth are Here! This entry was posted on August 16, 2018. 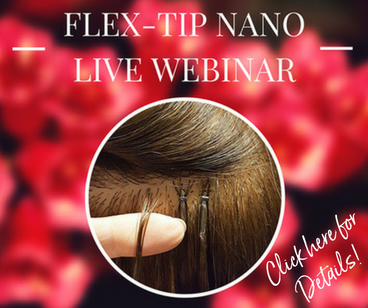 NEW Flex Tip Nano Webinar - Watch Now! This entry was posted on August 15, 2018. This entry was posted on July 17, 2018. Feeling "icky" about wanting to make money doing hair? This entry was posted on July 9, 2018. This entry was posted on May 21, 2018. Hair school nearly KILLED my soul. Did you survive? This entry was posted on March 30, 2018. This entry was posted on March 21, 2018. This entry was posted on March 20, 2018. This entry was posted on March 19, 2018. This entry was posted on March 16, 2018. Stylists, are you watching your competition STEAL your MONEY? This entry was posted on March 12, 2018.